Expert Source Ukrainian E.U. 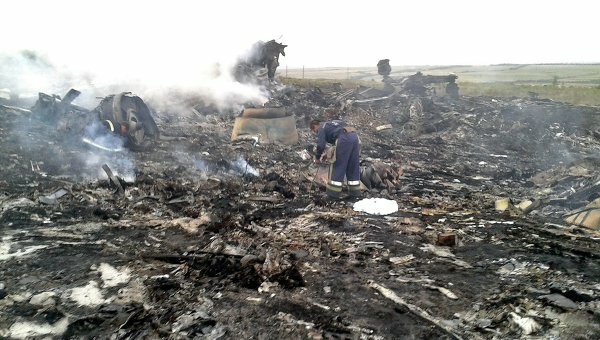 Kiev-Led Army Buk Missile Downed Malaysian Plane: Frustrated With Russia ~ NWO Kiev Coup Opportunists Sacrifice Innocent People Downing Flight 777. Official Statement From Russian Defense Ministry On Malaysia Boeing 777: Only E.U. Overthrown Kiev ~ Controlled Buk-M1 Missiles In Donetsk Region. 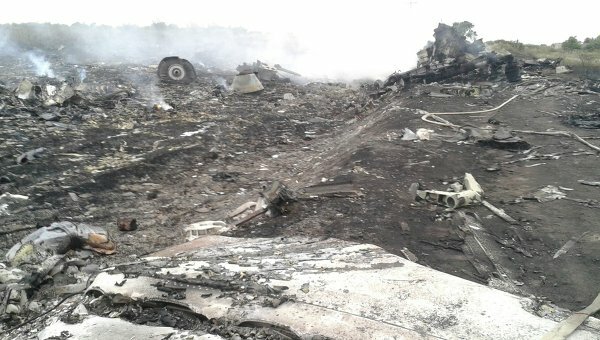 MOSCOW, July 17 (RIA Novosti) – A Ukrainian army battalion of Buk air defense systems was deployed near the city of Donetsk a day before the crash of a Malaysian passenger plane on Thursday, making the downing of the aircraft by one of the missiles highly probable, an expert source said. “According to reconnaissance data, a Ukrainian army battalion of Buk air defense systems was deployed near Donetsk on Wednesday morning,” the source said. The source added that armed militia fighting Kiev-led forces in eastern Ukraine does not have Buk systems, which are capable of shooting down aircraft flying at altitudes up to 25 kilometers (82,000 feet). President Kennedy Rejected CIA Airliner False Flag Attacks On Americans! Ukraine Crisis Is About E.U.’s Agenda 21: What Comes Around In The U.S. Goes Around In The Ukraine! Next Phase Of Rothschild’s Megalomaniac Global NWO Financial Crisis About To Get Started: Its Also Time To Turn Off His Water & Power! Vladimir Putin Stopped Rothschild In 2006! Memorial 1801: First War With The United States By Islam ~ Remembering Those Who Were Enslaved & Killed. Earlier the same day, adviser to the Ukrainian Interior Minister wrote on his Facebook page that a Buk surface-to-air missile system was indeed used to down the plane, but insisted that the self-defense forces had done that. According to various reports, a Malaysia Airlines Boeing-777 flying from Amsterdam to Kuala Lumpur crashed near the city of Donetsk in eastern Ukraine Thursday. There were 280 passengers and 15 crew members on board. 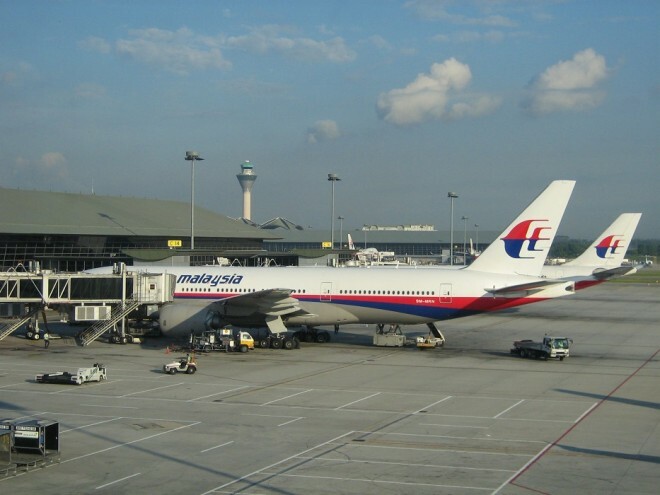 Malaysia Airlines confirmed that it had lost contact with its plane when it was above the Ukrainian airspace. “Malaysia Airlines has lost contact of MH17 from Amsterdam. The last known position was over Ukrainian airspace. More details to follow,” the company said on Twitter. Witnesses from the town of Torez in the Donetsk Region told RIA Novosti that plane wreckage and dead bodies have been located in the area. News breaking that “someone” shot down a Commercial Malaysian Air 777 over the Ukraine killing over 300 people has rocked the markets at a very significant moment. My first thought…Is this just another false flag event? I know it is cynical and there will be images of distraught family members blasted over the airwaves very soon but how can we believe what we are told by the mainstream media when time and time again…they have lied to us? Malaysian Air involved AGAIN after their “lost plane” false flag event a few months back. Gold and Silver have been rumored to be “allowed” to run up very soon. European banks are in deep, deep trouble and need an excuse. Ukrainian gov’t came out immediately after the news hit with a story that they know that the Russians shot the plane down. Obama and the EU have just laid new sanctions on Russia and are looking for support from the world. All of the above leans me towards the conclusion that this is just another false flag event in a long, long string of many that our controllers have pulled off. Let me be clear…this is just my hunch and it usually takes a few weeks/months before all the “conspiracy facts” come out proving the motives and methods behind the occurrence. We are living in dangerous times so look at everything with a skeptical eye. Our Rights and Freedoms have been taken from us! Our sons are sent to die in someone else’s battles! Our taxes are disguised tribute to a foreign power! Our government is under foreign control! Laws written for the public good are not enforced! while NON-laws are enforced, with criminal penalties! The Central Intelligence Agency was created by the Rothschilds, not to discover facts of importance to national security, but to manufacture and disseminate ideologies and disinformation which serve Rothschild interests, and to create evidence to support that ideology, such as by planting Soviet weapons caches, or coercing newspapers into covering up damaging information, or even manufacture stories to support the Rothschild banking cabal. U.S. Corporate CIA Is The Biggest Threat To U.S. Citizens Safety! 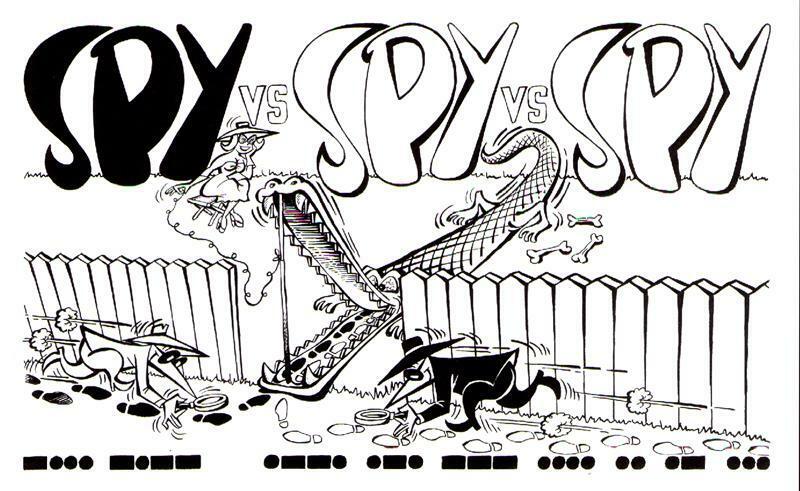 Edward Snowden’s Exposed Lies: Turf War ~ CIA Militant Psyops vs NSA Intelligence Gathering! 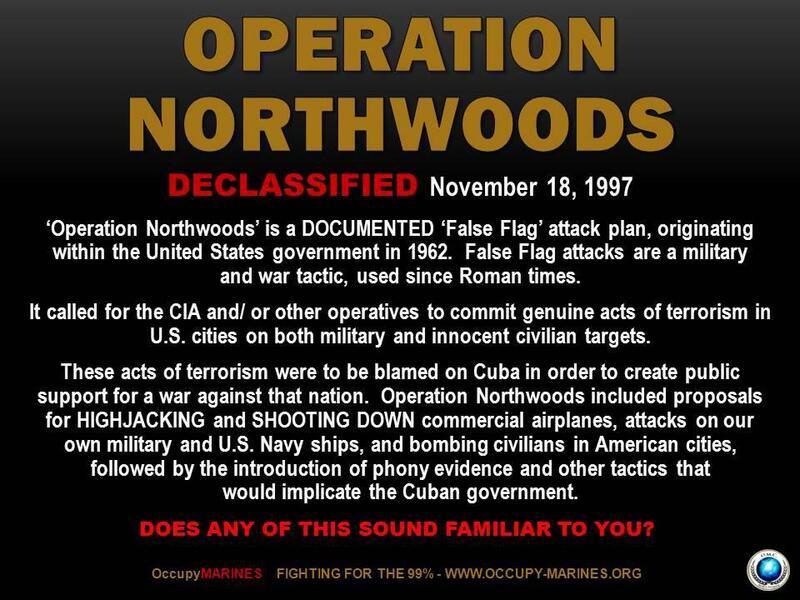 Operation Northwoods was a series of false-flag proposals that originated in 1962 within the United States government, and which the Kennedy administration rejected. The proposals called for the Central Intelligence Agency (CIA), or other operatives, to commit acts of terrorism in U.S. cities and elsewhere. These acts of terrorism were to be blamed on Cuba in order to create public support for a war against that nation, which had recently become communist under Fidel Castro. he was going to abolish the federal reserve and the CIA. The President Who Killed Rothschild Banking Schemes : Roosevelt And The Presidents Murdered By Rothschild ~ Lincoln, Garfield, & Kennedy! The VietNam War was created by the CIA. Ho Chi Mhin had been a US ally during World War II. After the War, the French attempted to retake VietNam, but Ho Chi Mhin forced them out. The Red Chinese invaded VietNam from the north, but Ho Chi Mhin forced them out too. This threatened Rothschild interests in the development of Red China. The return of Ho Chi Mhin to south VietNam also threatened a sweet deal the CIA had with Diem for heroin, which the CIA smuggled into the U.S. at enormous profit. The CIA planted weapons caches and spread the fiction that Ho Chi Mhin was a Red. Bobby Kennedy got wise to the scam, and shared his suspicions with Robert, who then refused to send arms. 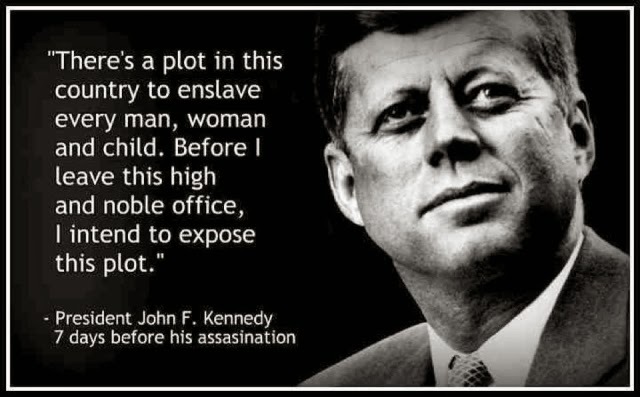 The CIA plotted to have him assassinated, so they could install a Rothschild patsy, Lyndon Johnson, in his place, who subsequently pulled us into a full-scale war, after promising not to. 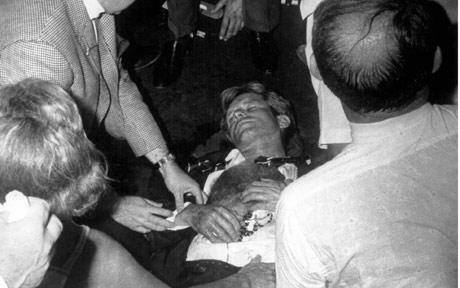 When Robert Kennedy ran for president, they had him killed too, so he couldn’t straighten things out. Eight US troops die after sampling Afghanistan’s deadliest crop. In “The Case of the Schizo Strategy,” Oversight Police Officers Joe Thursday and Terry Transparency attempt to reveal the reasoning behind President Obama’s ambivalent call for the deployment of 30,000 more troops to Afghanistan while simultaneously revealing America’s withdrawal date from the Afghan theater. 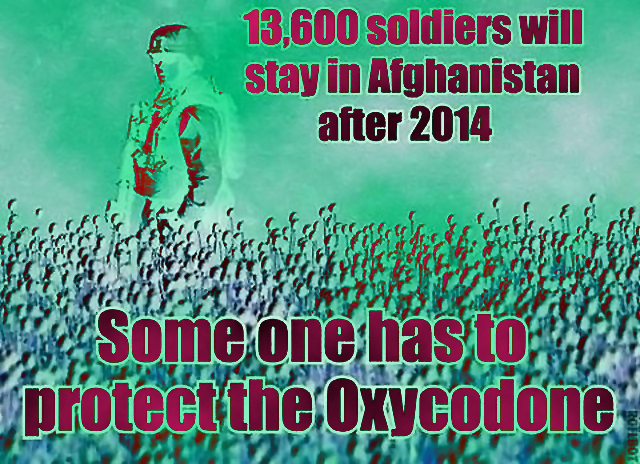 Deadlier In Mexico Than Afghanistan: Obama Sends More Troops To Afghanistan & Ignores Mexican U.S. Border. 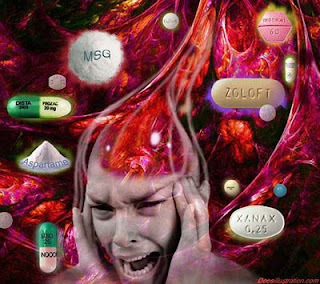 The DEA was set up partly to protect the CIA drug monopoly, partly because drugs have a way of jogging people’s minds, facilitating paradigm shifts, waking them up to what is going on around them. Some, like marijuana and LSD, are very good at this. I think it was Jerry Rubin who once called marijuana a “truth serum”. DEA funds have even been used to turn a trail in VietNam, where drugs were once carried on mule back, into a major superhighway, so drugs can now be carried out by truckload. 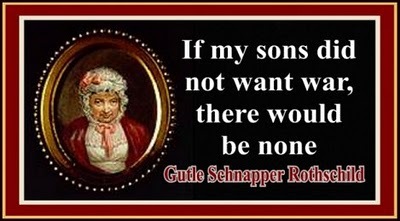 Rothschild An MI5/6 Cronie & Sons: Implicated With George Soros In Some Of The Filthiest Drugs-For-Weapons Operations. Destabilizing The United States Using False Flag Terrorism: NWO’s Scheme To Turn Capitalism’s Open Market Into A Cronie Capitalist Closed Market For The Banks! The DEA has also repeatedly undermined efforts of their own agents, frequently endangering them, to protect sources of cocaine in Colombia and Bolivia, and to protect the biggest dealer around, their boss, the CIA. In his new exposé of the National Security Agency entitled Body of Secrets, author James Bamford highlights a set of proposals on Cuba by the Joint Chiefs of Staff codenamed OPERATION NORTHWOODS. This document, titled “Justification for U.S. Military Intervention in Cuba” was provided by the JCS to Secretary of Defense Robert McNamara on March 13, 1962, as the key component of Northwoods. Written in response to a request from the Chief of the Cuba Project, Col. Edward Lansdale, the Top Secret memorandum describes U.S. plans to covertly engineer various pretexts that would justify a U.S. invasion of Cuba. 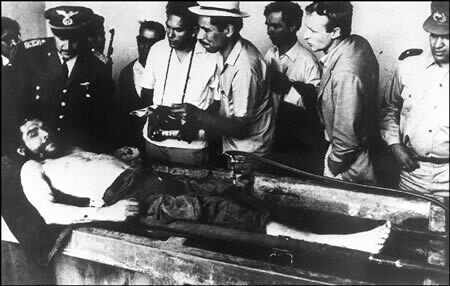 These proposals – part of a secret anti-Castro program known as Operation Mongoose – included staging the assassinations of Cubans living in the United States, developing a fake “Communist Cuban terror campaign in the Miami area, in other Florida cities and even in Washington,” including “sink[ing] a boatload of Cuban refugees (real or simulated),” faking a Cuban airforce attack on a civilian jetliner, and concocting a “Remember the Maine” incident by blowing up a U.S. ship in Cuban waters and then blaming the incident on Cuban sabotage. Che Guevara Executioner Of 14,000 & The Useful Idiots Who Romanticize Him. 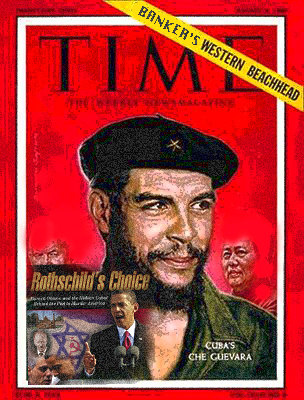 AIG Banks Gave $100 Million Of America’s Bailout Money: To Islam Head-cutting Sharia Groups & Che Guevara Cronies. Chairman, Joint Chiefs of Staff, Justification for US Military Intervention in Cuba [includes cover memoranda], March 13, 1962, TOP SECRET, 15 pp. Several other proposals were included within Operation Northwoods, including real or simulated actions against various U.S. military and civilian targets. The plan was drafted by the Joint Chiefs of Staff, signed by Chairman Lyman Lemnitzer and sent to the Secretary of Defense. Although part of the U.S. government’s Cuban Project anti-communist initiative, Operation Northwoods was never officially accepted; it was authorized by the Joint Chiefs of Staff, but then rejected by President John F. Kennedy. According to currently released documentation, none of the operations became active under the auspices of the Operation Northwoods proposals. The main proposal was presented in a document entitled “Justification for US Military Intervention in Cuba (TS)”, a top secret collection of draft memoranda written by the Department of Defense (DoD) and the Joint Chiefs of Staff (JCS). The document was presented by the Joint Chiefs of Staff to Secretary of Defense Robert McNamara on 13 March 1962 as a preliminary submission for planning purposes. The Joint Chiefs of Staff recommended that both the covert and overt aspects of any such operation be assigned to them. Re-Investigation Of 9/11 Campaign Gains World Momentum: Italy Supreme Court Submits U.S. 9/11 Crimes Against Humanity To International Criminal Tribunal! The previously secret document was originally made public on 18 November 1997, by the John F. Kennedy Assassination Records Review Board, a U.S. federal agency overseeing the release of government records related to John F. Kennedy’s assassination. A total 1521 pages of once-secret military records covering 1962 to 1964 were concomitantly declassified by said Review Board. “Appendix to Enclosure A” and “Annex to Appendix to Enclosure A” of the Northwoods document were first published online by the National Security Archive on 6 November 1998 in a joint venture with CNN as part of CNN’s 1998 Cold War television documentary series—specifically, as a documentation supplement to “Episode 10: Cuba,” which aired on 29 November 1998. “Annex to Appendix to Enclosure A” is the section of the document which contains the proposals to stage terrorist attacks. The Northwoods document was published online in a more complete form (i.e., including cover memoranda) by the National Security Archive on 30 April 2001. Number One Killer Of Mankind Can Be Traced To Rothschild’s NWO Democide: Death By Banker’s Usurped Government! 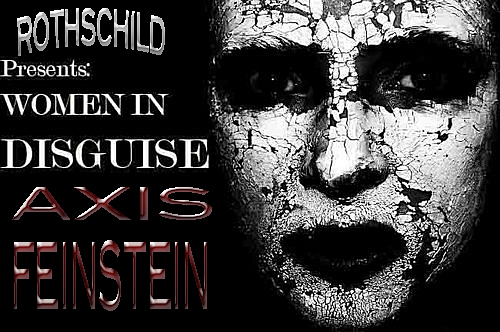 The Collapse Of The Kissinger Rothschild 1971 NWO Petrodollar: Their End Game Plan Is Here! The plan called for U.S. personnel to disguise themselves as agents of the Cuban government and to engage in terrorist attacks on the U.S. base at Guantanamo Bay. It also called for terrorist attacks within the United States that would be conducted by pro-U.S. forces disguising themselves as Cuban agents. One of the most fascinating aspects of Operation Northwoods involved the proposed hijacking of an American passenger plane. The JCS proposed that a real plane containing American passengers would be hijacked by friendly forces disguised as Cuban agents. The plane would drop down off the radar screen and be replaced by a pilotless aircraft, which would crash, purportedly killing all the passengers. Under the plan, the real passenger plane would be secretly flown back to the United States. 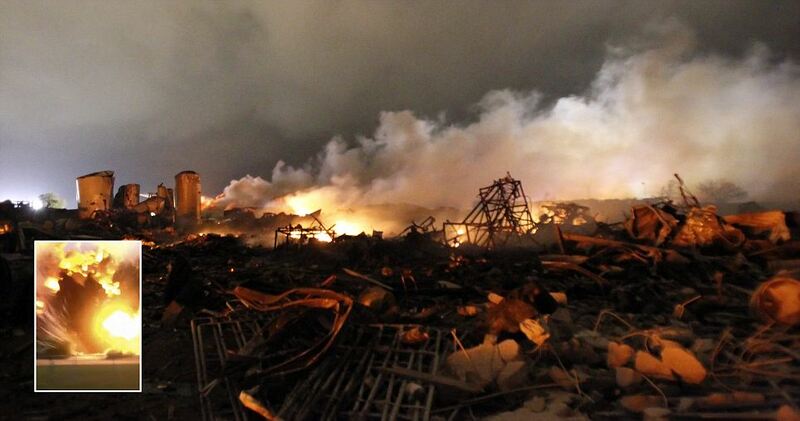 The remains of a fertilizer plant burn after an explosion at the plant in the town of West, near Waco, Texas early April 18, 2013. The deadly explosion ripped through the fertilizer plant late on Wednesday, killing 14 people, injuring more than 100, leveling dozens of homes and damaging other buildings including a school and nursing home, authorities said. Waco Texas Fertilizer Company Hit By Drone/Laser Strike After Lawsuit Filed Against Monsanto! Since it would seem desirable to use legitimate provocation as the basis for US military intervention in Cuba a cover and deception plan, to include requisite preliminary actions such as has been developed in response to Task 33 c, could be executed as an initial effort to provoke Cuban reactions. Harassment plus deceptive actions to convince the Cubans of imminent invasion would be emphasized. Our military posture throughout execution of the plan will allow a rapid change from exercise to intervention if Cuban response justifies. A series of well coordinated incidents will be planned to take place in and around Guantanamo to give genuine appearance of being done by hostile Cuban forces. a. 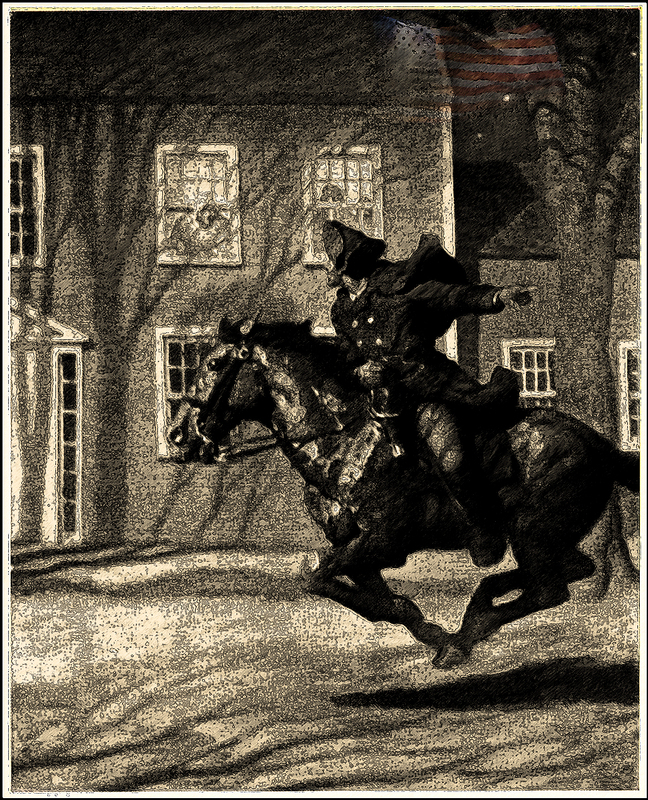 Incidents to establish a credible attack (not in chronological order): 1.Start rumors (many). Use clandestine radio. Land friendly Cubans in uniform “over-the-fence” to stage attack on base. Capture Cuban (friendly) saboteurs inside the base. Start riots near the base main gate (friendly Cubans). Blow up ammunition inside the base; start fires. Burn aircraft on air base (sabotage). Lob mortar shells from outside of base into base. Some damage to installations. Capture assault teams approaching from the sea or vicinity of Guantanamo City. Obama Spreads U.S. Troops To Niger, Africa To “Support Tax Payer Predator Drone Base” ~ From Libya To Niger The Killing Goes On. Capture militia group which storms the base. Sabotage ship in harbor; large fires—napthalene. Sink ship near harbor entrance. Conduct funerals for mock-victims (may be in lieu of (11). 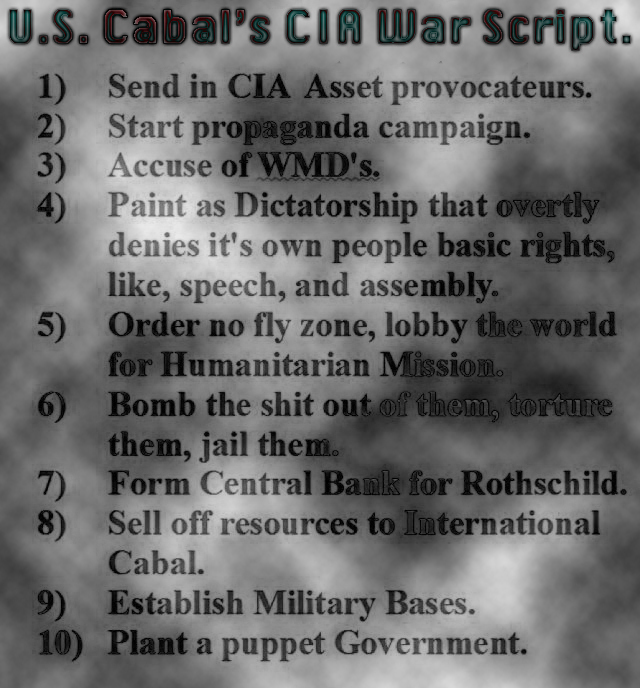 U.S. Corporate CIA Is The Biggest Threat To U.S. Citizens Safety: Fomenting Nation State Takeover Through Misinformation Campaigns, Murders, Assassinations, & Greed ~ Absconding America’s Money To Carry Out The Evils For The International Banking Controller’s Scheme Known As NWO. United States would respond by executing offensive operations to secure water and power supplies, destroying artillery and mortar emplacements which threaten the base. c. Commence large scale United States military operations. “Remember the Maine” incident could be arranged in several forms: We could blow up a US ship in Guantanamo Bay and blame Cuba. b. We could blow up a drone (unmanned) vessel anywhere in the Cuban waters. We could arrange to cause such incident in the vicinity of Havana or Santiago as a spectacular result of Cuban attack from the air or sea, or both. The presence of Cuban planes or ships merely investigating the intent of the vessel could be fairly compelling evidence that the ship was taken under attack. The nearness to Havana or Santiago would add credibility especially to those people that might have heard the blast or have seen the fire. The US could follow up with an air/sea rescue operation covered by US fighters to “evacuate” remaining members of the non-existent crew. Casualty lists in US newspapers would cause a helpful wave of national indignation. We could develop a Communist Cuban terror campaign in the Miami area, in other Florida cities and even in Washington. The terror campaign could be pointed at refugees seeking haven in the United States. We could sink a boatload of Cubans en route to Florida (real or simulated). We could foster attempts on lives of Cuban refugees in the United States even to the extent of wounding in instances to be widely publicized. Exploding a few plastic bombs in carefully chosen spots, the arrest of Cuban agents and the release of prepared documents substantiating Cuban involvement, also would be helpful in projecting the idea of an irresponsible government. “Cuban-based, Castro-supported” filibuster could be simulated against a neighboring Caribbean nation (in the vein of the 14 June invasion of the Dominican Republic). 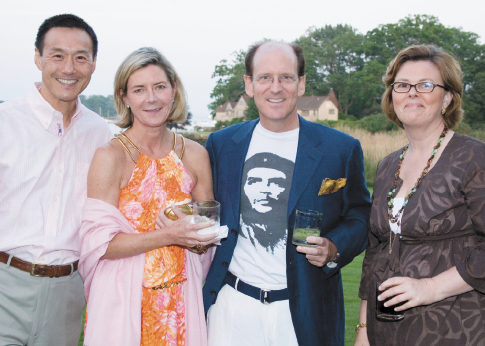 AIG Officials Sporting Che Guevara And Celebrating Their Multi-Million Dollar Bonus Checks – Bailouts Are Nice Eh? Bailouts Were Illegal: AFLC Attorneys To Argue Before Federal Appellate Court That AIG Bailout Was Unconstitutional. 2013 Hezbollah Establishes Base In Cuba: Must Read For Every U.S. Military Soldier ~ The Growing Plight At Home For U.S. Citizens! We know that Castro is backing subversive efforts clandestinely against Haiti, Dominican Republic, Guatemala, and Nicaragua at present and possible others. These efforts can be magnified and additional ones contrived for exposure. For example, advantage can be taken of the sensitivity of the Dominican Air Force to intrusions within their national air space. Benghazi False Flag By Hillary & Feinstein’s CIA. Dianne Feinstein’s Intelligence Committee CIA: Attempts Overthrow Of Ecuador. “Cuban” B-26 or C-46 type aircraft could make cane-burning raids at night. Soviet Bloc incendiaries could be found. This could be coupled with “Cuban” messages to the Communist underground in the Dominican Republic and “Cuban” shipments of arm which would be found, or intercepted, on the beach. Use of MIG type aircraft by US pilots could provide additional provocation. Harassment of civil air, attacks on surface shipping and destruction of US military drone aircraft by MIG type planes would be useful as complementary actions. 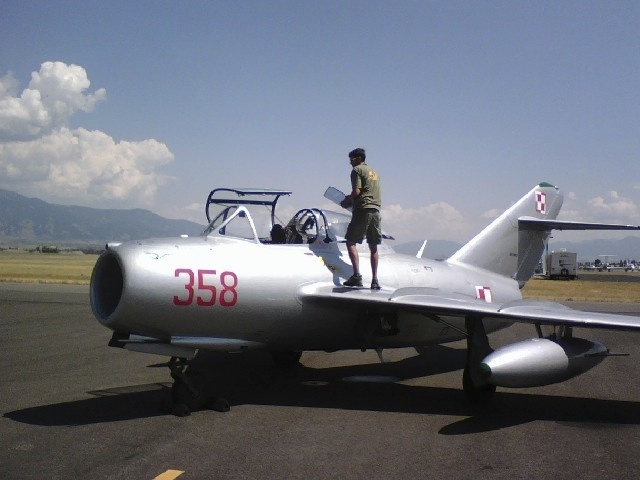 An F-86 properly painted would convince air passengers that they saw a Cuban MIG, especially if the pilot of the transport were to announce such fact. The primary drawback to this suggestion appears to be the security risk inherent in obtaining or modifying an aircraft. However, reasonable copies of the MIG could be produced from US resources in about three months. Hijacking attempts against civil air and surface craft should appear to continue as harassing measures condoned by the government of Cuba. Concurrently, genuine defections of Cuban civil and military air and surface craft should be encouraged. It is possible to create an incident which will demonstrate convincingly that a Cuban aircraft has attacked and shot down a chartered civil airliner en route from the United States to Jamaica, Guatemala, Panama or Venezuela. The destination would be chosen only to cause the flight plan route to cross Cuba. The passengers could be a group of college students off on a holiday or any grouping of persons with a common interest to support chartering a non-scheduled flight. a. An aircraft at Eglin AFB would be painted and numbered as an exact duplicate for a civil registered aircraft belonging to a CIA proprietary organization in the Miami area. At a designated time the duplicate would be substituted for the actual civil aircraft and would be loaded with the selected passengers, all boarded under carefully prepared aliases. The actual registered aircraft would be converted to a drone. Another Dead U.S. ISIS False Flag Attack: Non Stop NWO Propaganda To Start WWIII To Hide Their Loot. Oh By The Way, Kuwait To Sell Oil In Bitcoins. Take off times of the drone aircraft and the actual aircraft will be scheduled to allow a rendezvous south of Florida. From the rendezvous point the passenger-carrying aircraft will descend to minimum altitude and go directly into an auxiliary field at Eglin AFB where arrangements will have been made to evacuate the passengers and return the aircraft to its original status. The drone aircraft meanwhile will continue to fly the filed flight plan. When over Cuba the drone will begin transmitting on the international distress frequency a “MAY DAY” message stating he is under attack by Cuban MIG aircraft. The transmission will be interrupted by destruction of the aircraft which will be triggered by radio signal. This will allow ICAO radio stations in the Western Hemisphere to tell the US what has happened to the aircraft instead of the US trying to “sell” the incident. It is possible to create an incident which will make it appear that Communist Cuban MIGs have destroyed a USAF aircraft over international waters in an unprovoked attack. Approximately 4 or 5 F-101 aircraft will be dispatched in trail from Homestead AFB, Florida, to the vicinity of Cuba. Their mission will be to reverse course and simulate fakir aircraft for an air defense exercise in southern Florida. These aircraft would conduct variations of these flights at frequent Intervals. Crews would be briefed to remain at least 12 miles off the Cuban coast; however, they would be required to carry live ammunition in the event that hostile actions were taken by the Cuban MIGs. On one such flight, a pre-briefed pilot would fly tail-end Charley at considerable interval between aircraft. While near the Cuban Island this pilot would broadcast that he had been jumped by MIGs and was going down. No other calls would be made. The pilot would then fly directly west at extremely low altitude and land at a secure base, an Eglin auxiliary. The aircraft would be met by the proper people, quickly stored and given a new tail number. The pilot who had performed the mission under an alias, would resume his proper identity and return to his normal place of business. The pilot and aircraft would then have disappeared. c.
At precisely the same time that the aircraft was presumably shot down, a submarine or small surface craft would disburse F-101 parts, parachute, etc., at approximately 15 to 20 miles off the Cuban coast and depart. The pilots returning to Homestead would have a true story as far as they knew. Search ships and aircraft could be dispatched and parts of aircraft found. for a wave of violent terrorism to be launched in Washington, D.C., Miami, and elsewhere. Using phony evidence, all of it would be blamed on Castro, thus giving Lemnitzer and his cabal the excuse, as well as the public and international backing, they needed to launch their war. In addition to Operation Northwoods, under the Operation Mongoose program the U.S. Department of Defense had a number of similar proposals to be taken against the Cuban regime of Fidel Castro. Twelve of these proposals come from a 2 February 1962 memorandum entitled “Possible Actions to Provoke, Harass or Disrupt Cuba,” written by Brig. Gen. William H. Craig and submitted to Brig. Gen. Edward Lansdale, the commander of the Operation Mongoose project. Even after General Lemnitzer lost his job as the Chairman of the Joint Chiefs of Staff, the Joint Chiefs of Staff still planned false-flag pretext operations at least into 1963. A different U.S. Department of Defense policy paper created in 1963 discussed a plan to make it appear that Cuba had attacked a member of the Organization of American States (OAS) so that the United States could retaliate. Included in the nations the Joint Chiefs suggested as targets for covert attacks were Jamaica and Trinidad-Tobago. Since both were members of the British Commonwealth, the Joint Chiefs hoped that by secretly attacking them and then falsely blaming Cuba, the United States could incite the people of the United Kingdom into supporting a war against Castro. President John F Kennedy’s NAWAPA 1964 For The American People ~ Not Corporate Greed: WATER! The continuing push against the Cuban government by internal elements of the U.S. military and intelligence communities (the failed Bay of Pigs Invasion, the Cuban Project, etc.) had already prompted President John F. Kennedy to attempt to rein in burgeoning hardline anti-Communist sentiment that was intent on proactive, aggressive action against communist movements around the globe. 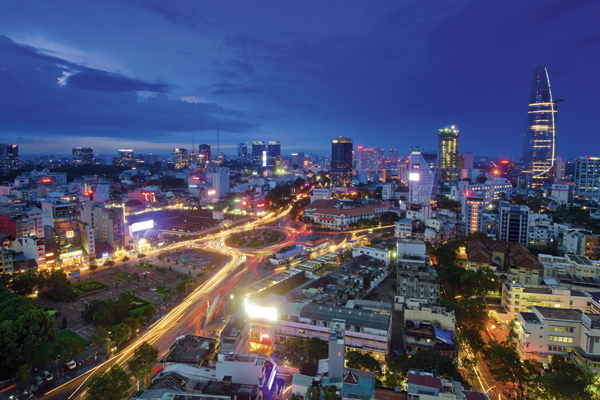 Vietnam is embracing the 21st century with vigour. From the commercial maze of Ho Chi Minh City to the pristine beaches of Da Nang, the once-beleaguered country is putting its troubled past to one side. After the Bay of Pigs, Kennedy had fired CIA director Allen W. Dulles, Deputy Director Charles P. Cabell, and Deputy Director Richard Bissell, and turned his attention towards Vietnam. 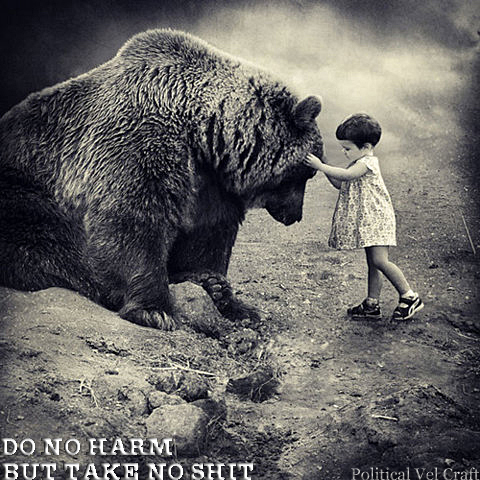 Kennedy had also stripped the CIA of responsibility for paramilitary operations like the Bay of Pigs and turned them over to the U.S. Department of Defense and the Joint Chiefs of Staff, which, as Commander in Chief, Kennedy could more directly control. 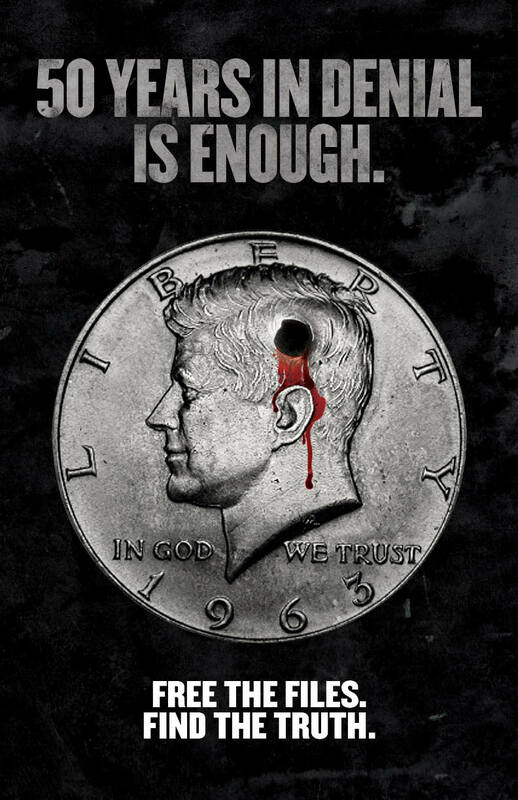 Personally, Kennedy expressed outrage to many of his associates about the CIA’s growing influence on civilians and government inside America and his attempt to curtail the CIA’s extensive Cold War and paramilitary operations was a direct expression of this concern. “General Lemnitzer commented that the military had contingency plans for US intervention. Also it had plans for creating plausible pretexts to use force, with the pretext either attacks on US aircraft or a Cuban action in Latin America for which we could retaliate. The proposal was sent for approval to the Secretary of Defense, Robert McNamara, but was not implemented. (Some fifty years later when asked about the plot by journalist David Talbot, Robert McNamara drew a blank. President Kennedy was putting a stop to the Vietnam War & The Rothschild Federal Reserve: pResident Johnson continued the Vietnam war for the International bankers and continued the Rothschild Federal Reserve. Following presentation of the Northwoods plan, Kennedy removed Lemnitzer as Chairman of the Joint Chiefs of Staff, although he became Supreme Allied Commander of NATO in January 1963. American armed forces leaders began to perceive Kennedy as going soft on Cuba, and the President became increasingly unpopular with the military, a rift that came to a head during Kennedy’s disagreements with the service chiefs over the Cuban Missile Crisis. On 3 August 2001, the National Assembly of People’s Power of Cuba (the main legislative body of the Republic of Cuba) issued a statement referring to Operation Northwoods and Operation Mongoose wherein it condemned such U.S. government plans. Here is the coin caste by the Rothschild Zionists way back before Israel was a State. It acknowledges Rothschild as King of Israel. Interesting the lengths of deception one who endeavors into because of greed! Fractional Reserve Banking (by Rothschild Zionist Central Banksters) is a predatory income distribution scheme to enhance the wealth of the 1%. Fair alternatives exist. The same group of scum Zionists that amassed great fortunes from exploiting WW1, WWII and all other other wars since are still basically in power and are behind the creation of ‘Barack Obama’. Connect the dots: Looted WWII Japanese treasure, Breakup of the Soviet Union / illegal bond scheme and the 9/11 WTC gold and securities heist, & the Rothschilds. Rothschild fund Islamaphobia as part of master plan after breakup of Soviet Union Cold War was ended. Original Rothschild wealth originated in financing mercenaries of the German / British aristocracy to fight against American revolutionaries. The Mormon Church, Romney, Rothschilds and Bain Capital. Mormons were originally part of Freemasons. 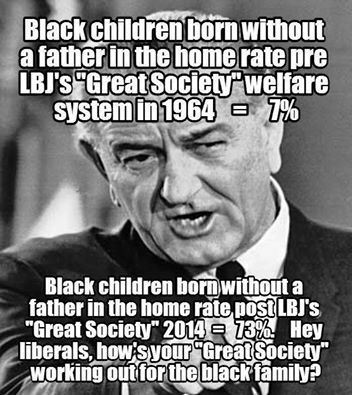 Rothschild pResident Czar Lyndon Johnson. 9-11 Judge Hellerstein is Connected to Rothschild-Funded Mossad security firm ICTS ..
Rothschild Zionist Crown family of Chicago switched support from Obama to Romney. Iran attack is about its Central Bank and Rothschild monopoly of nuclear fuel. 2012 election voting machines Rothschild connections. Enron scandal and NM Rothschild employee Lord Please be directed to NewsFollow on Enron board. … Qatar, Turkmenistan, natural gas, corruption. Link Rothschild to Auchi to Khashoggi to Obama to BCCI. Rothschilds / Warburgs / IG Farben created Hitler, Banksterscreated Israel at the expense of the Palestinians. CO2 Cap & Trade schemes, Al Gore, Maurice Strong, Obama. Rothschild Zionists had complete control over the security and access to the WTC prior to 9/11. Rothschilds and ‘WWIII‘ China/Russia and Bo Xilai ‘color revolution. Tony Blair controlled by Zionists to invade Iraq. London School of Jewish Studies (LSJS) and London School of Economics are links to Rothschild / Dov Zakheim (9/11 mastermind) relationship. Illuminati=CFR, Bilderberg, Committee of 300 etc. Eric Cantor, Rothschild controlled Republican leader of the House of Representatives. 9/11 Judge Hellerstein is an orthodox Jew, a clear conflict of interest given Israel evidence ties to 9/11. Nixon hated Zionists and so they removed him from office. Rothschild and ‘The Weather Channel’. The ultimate victory for the Rothschilds would be a war between China/Russia vs. The US where Rothchild companies supply both sides with weapons and materials, then declaring a ‘new world order’ as a solution to the mess they created through debt abuse; all consistent with the history of the last 250 years. Very sad; they are very sick people. Jon Elliston, editor, Psywar on Cuba: The Declassified History of U.S. Anti-Castro Propaganda (Melbourne, Australia and New York: Ocean Press, 1999), ISBN 1-876175-09-5. James Bamford, Body of Secrets: Anatomy of the Ultra-Secret National Security Agency From the Cold War Through the Dawn of a New Century (New York: Doubleday, first edition, 24 April 2001), ISBN 0-385-49907-8. Here is an excerpt from Chapter 4: “Fists” of this book. Jack Ruby murderer of Lee Harvey Oswald. Jack Rubenstein is an informant for Richard Nixon. 1.^ a b U.S. Joint Chiefs of Staff, “Justification for US Military Intervention in Cuba (TS)”, U.S. Department of Defense, 13 March 1962. The Operation Northwoods document in PDF format on the website of the independent, non-governmental research institute the National Security Archive at the George Washington University Gelman Library, Washington, D.C. Direct PDF links: here and here. 2.^ Ruppe, David (May 1, 2001). “U.S. Military Wanted to Provoke War With Cuba”. ABC News. Retrieved January 21, 2012. 3.^ Zaitchik, Alexander (3 March 2011) Meet Alex Jones, Rolling Stone. 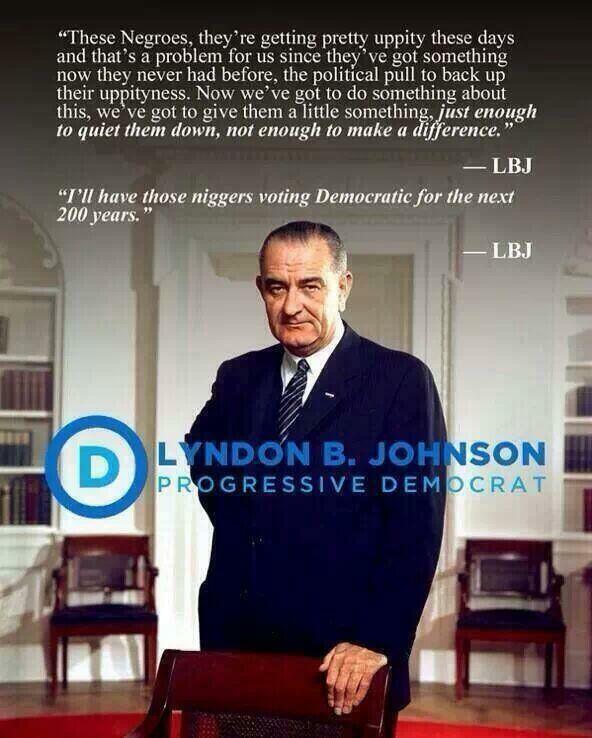 4.^ “The Records of the Assassination Records Review Board,” National Archives and Records Administration. 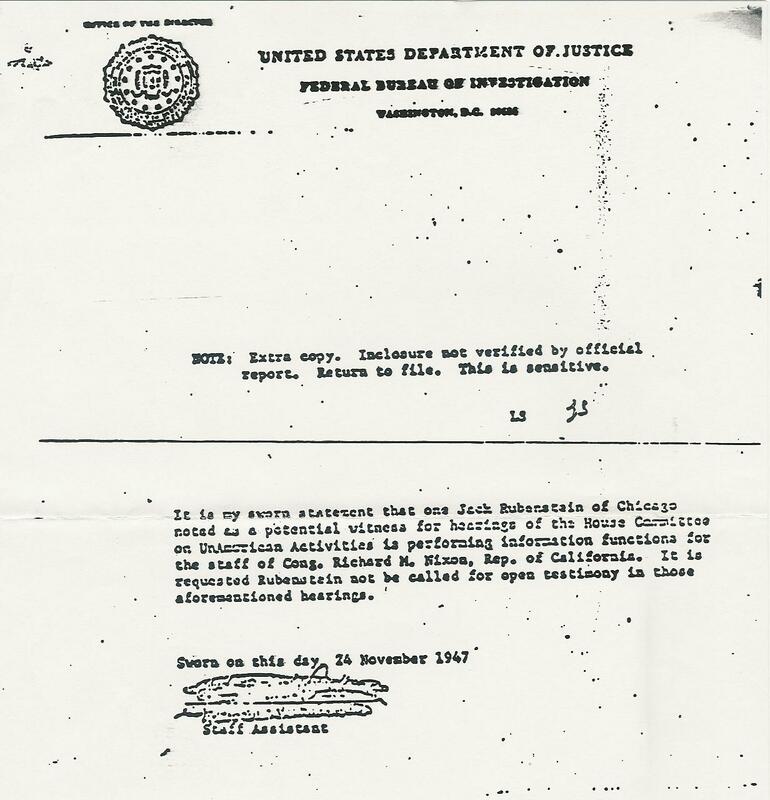 5.^ “Media Advisory: National Archives Releases Additional Materials Reviewed by the Assassination Records Review Board,” Assassination Records Review Board (a division of the U.S. National Archives and Records Administration), 17 November 1997. A U.S. government press-release announcing the declassification of some 1500 pages of U.S. government documents from 1962–64 relating to U.S. policy towards Cuba, among which declassified documents included the Operation Northwoods document. 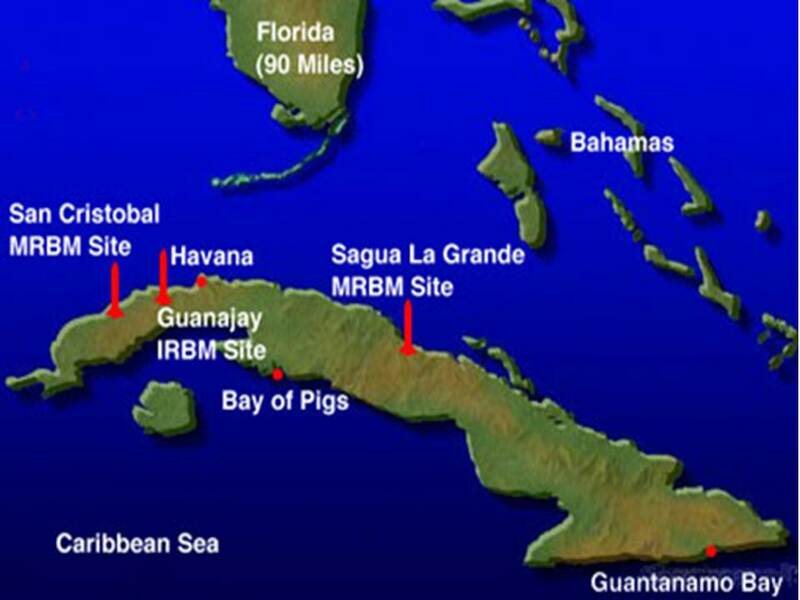 6.^ Jim Wolf, “Pentagon Planned 1960s Cuban ‘Terror Campaign’,” Reuters, 18 November 1997. 7.^ a b Mike Feinsilber, “At a tense time, plots abounded to humiliate Castro,” Associated Press (AP), 18 November 1997; also available here. 8.^ a b Tim Weiner, “Documents Show Pentagon’s Anti-Castro Plots During Kennedy Years,” New York Times, 19 November 1997; appeared on the same date and by the same author in the New York Times itself as “Declassified Papers Show Anti-Castro Ideas Proposed to Kennedy,” late edition—final, section A, pg. 25, column 1. 9.^ “National Security Archive: COLD WAR: Documents,” National Security Archive, 27 September 1998 – 24 January 1999. 10.^ U.S. Joint Chiefs of Staff, “Appendix to Enclosure A: Memorandum for Chief of Operations, Cuba Project” and “Annex to Appendix to Enclosure A: Pretexts to Justify US Military Intervention in Cuba,” U.S. Department of Defense, circa March 1962. First published online by the National Security Archive on 6 November 1998, as part of CNN’s Cold War documentary series. “Annex to Appendix to Enclosure A” is the section of the Operation Northwoods document which contains the proposals to stage terrorist attacks. 11.^ “Episode 10: Cuba; Cuba: 1959–1968,” CNN (Cable News Network LP, LLLP). 12.^ “Cold War Teacher Materials: Episodes,” and “Educator Guide to CNN’s COLD WAR Episode 10: Cuba,” Turner Learning (Turner Broadcasting System, Inc.). 13.^ “Pentagon Proposed Pretexts for Cuba Invasion in 1962,” National Security Archive, 30 April 2001. 20.^ a b c d e Bamford , James (2002). Body of secrets: anatomy of the ultra-secret National Security Agency. Random House. p. 82. ISBN 978-0-385-49908-8. 21.^ Mike Feinsilber, “Records Show Plan To Provoke Castro,” Associated Press (AP), 29 January 1998. 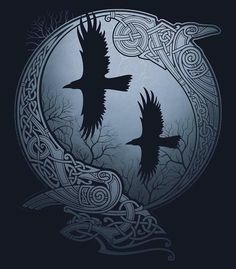 23.^ Brothers by David Talbot. 24.^ “Statement by the National Assembly of People’s Power of the Republic of Cuba,” National Assembly of People’s Power of Cuba, 3 August 2001; also available here. See the above “References” section for documents cited in the body of this article. The Full Operation Northwoods document in both JPEG and fully searchable HTML format. Scott Shane and Tom Bowman with contribution from Laura Sullivan, “New book on NSA sheds light on secrets: U.S. terror plan was Cuba invasion pretext,” Baltimore Sun, 24 April 2001. Ron Kampeas, “Memo: U.S. Mulled Fake Cuba Pretext,” Associated Press (AP), 25 April 2001. Bruce Schneier, “‘Body of Secrets’ by James Bamford: The author of a pioneering work on the NSA delivers a new book of revelations about the mysterious agency’s coverups, eavesdropping and secret missions,” Salon.com, 25 April 2001. David Ruppe, “U.S. Military Wanted to Provoke War With Cuba; Book: U.S. Military Drafted Plans to Terrorize U.S. Cities to Provoke War With Cuba,” ABC News, 1 May 2001. “The Truth Is Out There—1962 memo from National Security Agency,” Harper’s Magazine, July 2001. Chris Floyd, “Head Cases,” Moscow Times, 21 December 2001, pg. VIII; also appeared in St. Petersburg Times, Issue 733 (100), 25 December 2001. Flag This! – $550 Billion USD Absconded From Federal Reserve Within 30 Minutes. George Soros’ $45 Million Campaign To End Democratic Judicial Elections Exposed. The Connection Between London’s 2012 Olympics & The Aurora, Colorado Blood Sacrifice! New World Old World: Freedom’s Phenomena, Walking Away, False Flags, Idea Trends, & Currency Reset. Defund Anti-American La Raza Organization: $5 Million U.S. Tax Dollars Given To Them And Used For Communist Activities! Obama Illegally Escalates Syrian False Flag War: 100,000 Killed By Fomented Violence 2011 – 2013 ~ Experts Don’t See Evidence Of Sarin Gas! 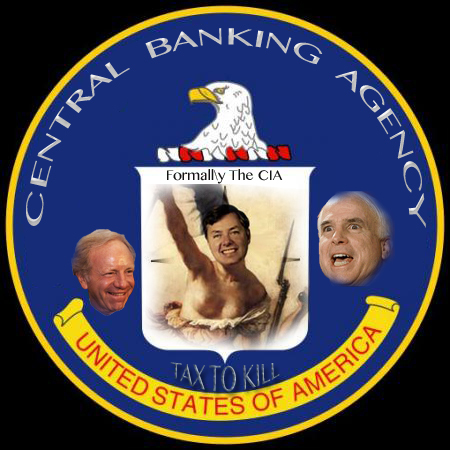 John McCain Destabilizes Syria For Rothschild NWO Banking Cabal: McCain Does To Syria As Holder Did To Mexico ~ Arms Terrorists Using CIA ~ Killing Innocent Citizens! The Patty Hearst kidnapping was engineered by the CIA, because Randolf Hearst threatened to expose sensitive information. 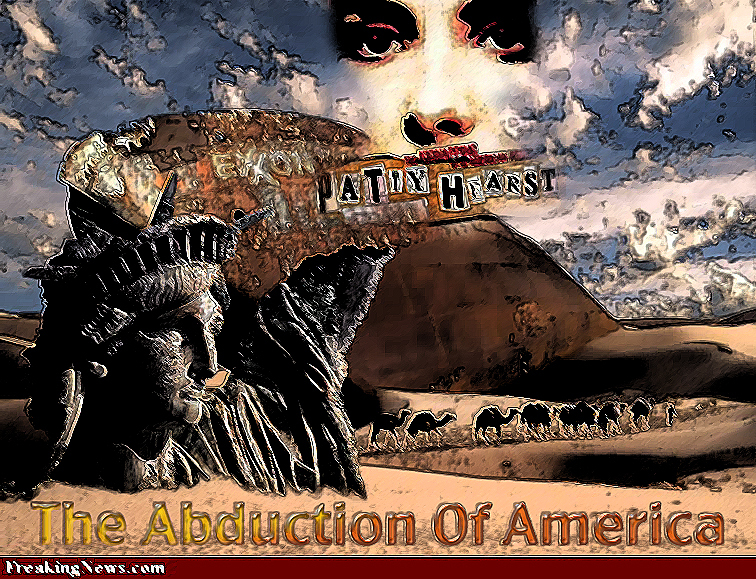 Abduction Of America ~ Held Captive By CFR’s NWO Mass Media: Patty Hearst Stockholm Syndrom Revisited! Personal Income Tax Violates U.S. Supreme Court Ruling ~ Privately Owned Federal Reserve Violates U.S. Constitution & President Kennedy’s Executive Orders. An LA Times reporter uncovered considerable evidence in this regard, including the fact that Donald DeFreez, the ringleader, had been arrested two weeks prior to the kidnapping. He had been wandering around in the middle of the night, with a tommygun, in the neighborhood where the kidnapping was to later take place. The police let him go when they learned he was a CIA operative, and the gun a CIA issue. The aforementioned reporter had been unable to publish her report in any major daily, finally turning to the “Berkeley Barb“. The article was totally atypical of Barb articles, in language, length, attention to detail, and style. It was also the very last issue of the Barb I would ever see. ← The Federal Government Lacks Any Constitutional Authority To Regulate Cannabis: State Of Washington Protects Citizens Freedom To Use Cannabis As THEY See Fit.